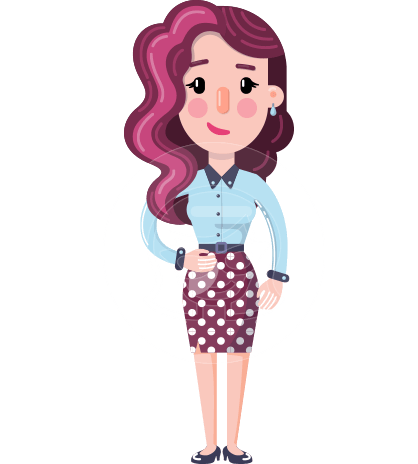 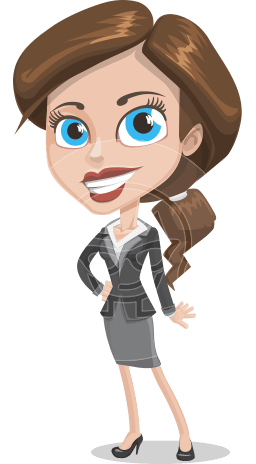 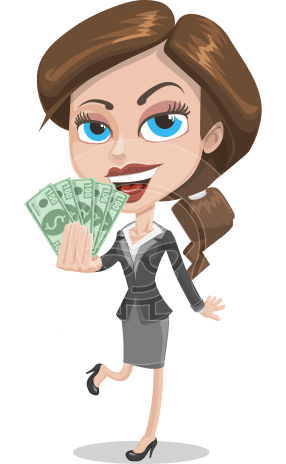 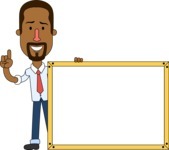 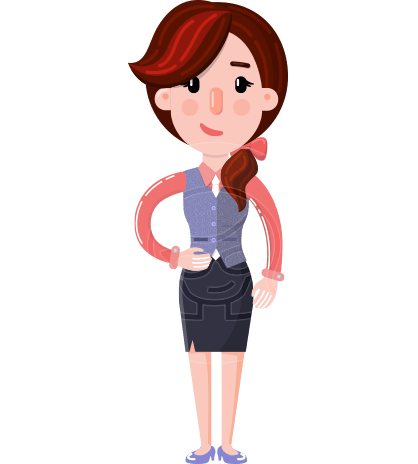 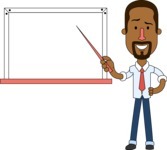 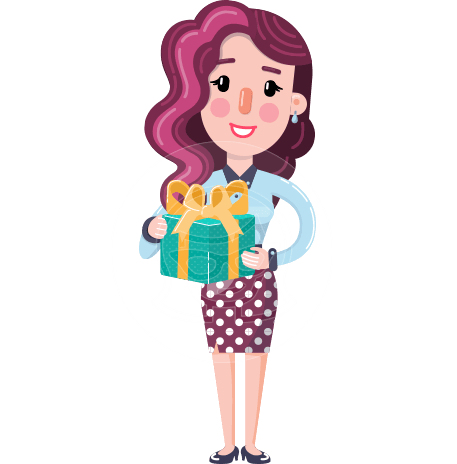 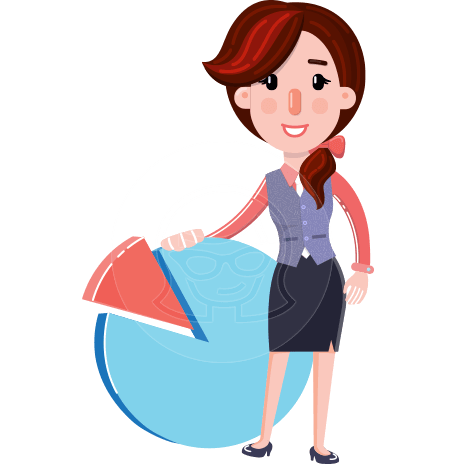 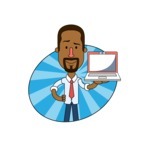 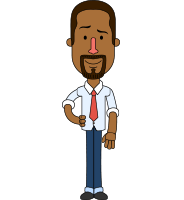 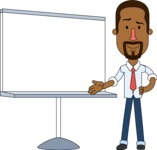 A charming African-American vector character made in a simple geometry style and dressed in business clothes. 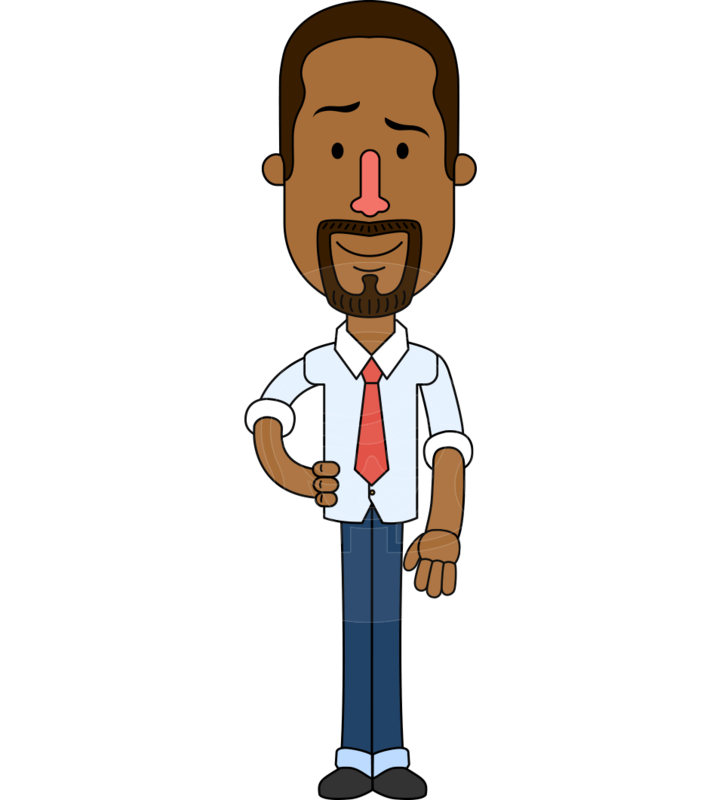 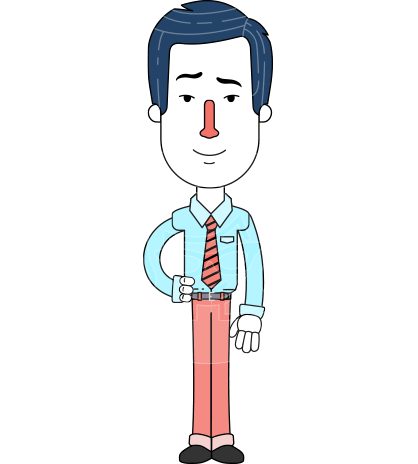 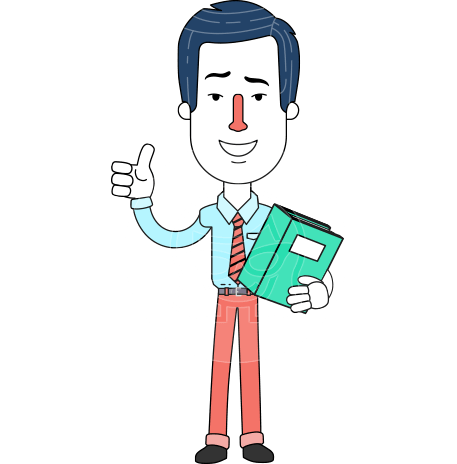 Zachary is a cartoon character full of energy and ambition to take your projects to the top of the charts. 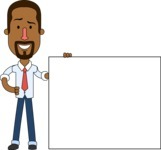 This vector businessman comes in a bundle of 112 poses, all available in .Png, .Ai, .Eps, and .Pdf.